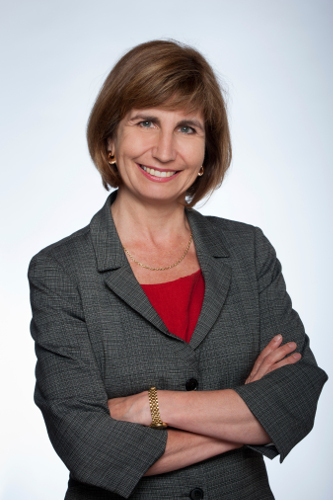 At the time of her election as MPP for Ottawa-Vanier, Nathalie Des Rosiers was Dean of the Faculty of Law-Common Law at University of Ottawa. She has served as the General Counsel for the Canadian Civil Liberties Association, (CCLA) a national organization that acts as a watchdog for the protection of human rights and civil liberties in Canada, from 2009 to 2013. Prior to her appointment to the CCLA, Me Des Rosiers was Interim Vice-President - Governance for the University of Ottawa (2008-2009), Dean of the Civil Law Section, University of Ottawa (2004-2008), President of the Law Commission of Canada (2000-2004). She has been in private practice in Montreal and London, Ont. and was professor of law at Western Law School for many years. She was a member of the Environmental Appeal Board of Ontario, of the Pay Equity Board of Ontario, a Commissioner of the Ontario Law Reform Commission and a Board member of the Law Commission of Ontario. She also served as the President of the Federation of Social Sciences and Humanities, President of the Council of Law Deans, President of the Canadian Association of Law Teachers and of the Association des juristes d'expression française de l'Ontario. She has received many honours, including the Order of Canada in 2013, the Order of Ontario in 2012, an Honourary Doctorate from the UCL (Université catholique de Louvain) in Belgium in 2012, an Honourary Doctorate from the Law Society of Upper Canada, the Medal from the Law Society of Upper Canada, the NUPGE Award, the APEX Partnership Award and was named one of Canada's 25 most influential lawyers in both 2011 and 2012. She has LL.B. from Université de Montréal, an LL.M. from Harvard Law School and is a member of the Royal Society of Canada.